Without them, we would have no conference. We would arrive at the mountain, sip a Cheerwine or two, and leave. Behind closed doors, without recognition and without thanks, they start the amazing experience that we call CONA. The Conference Life Committee is responsible for making the initial motion to start the conference. This year’s conference was started by Amber Stull from Indiana. The CLC connects delegates and Presiding Officers. The CLC members relay requests and concerns to POs and then bring the POs’ jurisdictions back to their delegates. Therefore, they are the voice of their delegation and keep this vital cycle flowing. Hannah Hightower, PO, expressed it perfectly when she said that CLC is a “source of authority for the conference.” They hold great power and are a true symbol of servant leadership. “This is a conference that is built on respect and built on listening,” says Ed Sharood, PO. This was demonstrated when the POs opened up the floor for questioning. 2. Placard quacking is discouraged. 3. Suggestions for next year will be discussed on Wednesday and Thursday. 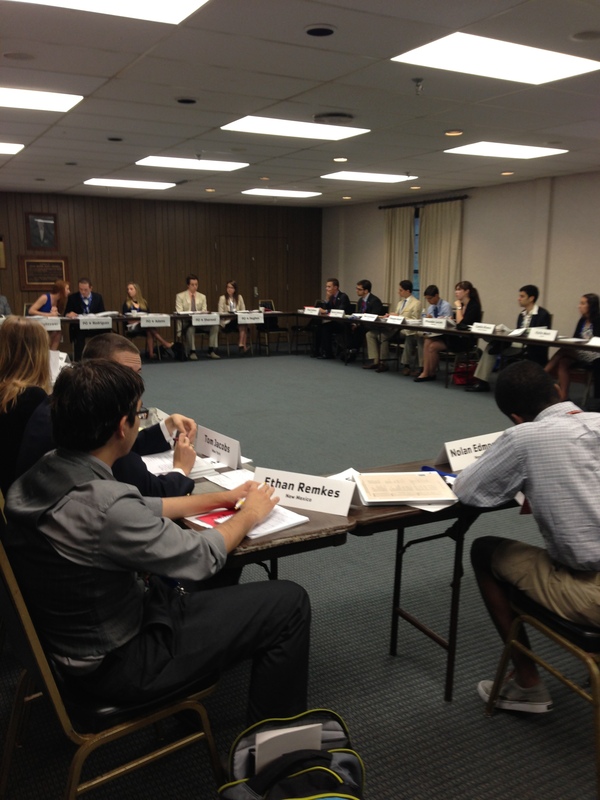 If delegates think of any ways to improve the CONA experience, tell the CLC representative for your delegation. With the work of the CLC members, the conference can make the requested changes or maintain appreciated procedures and traditions. They are the voices that represent the people of CONA, and without them, we could not start, hold or end the conference.